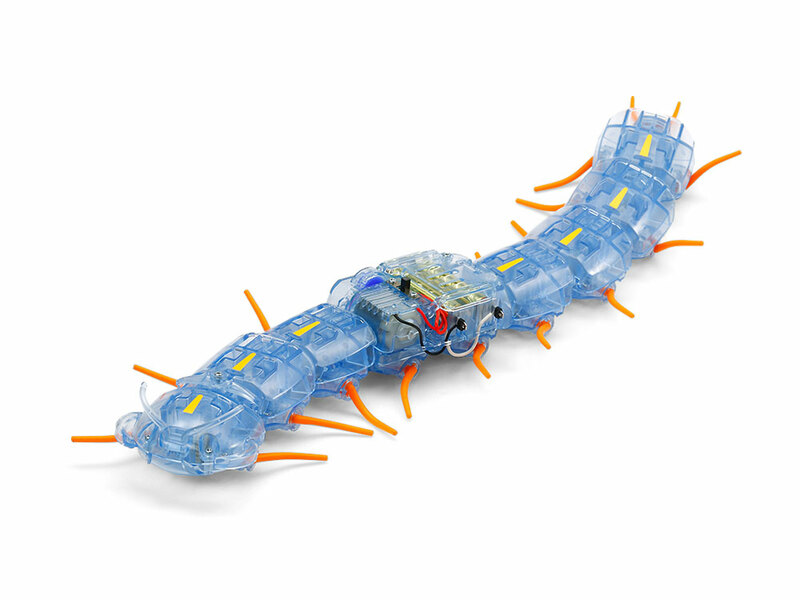 ★This kit creates the realistically creepy Centipede Robot, which slithers and slides across a range of obstacles. 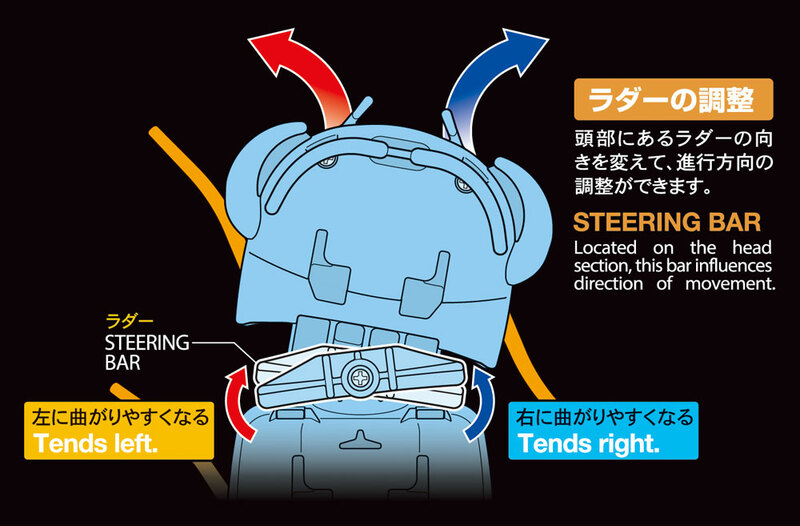 ★The model has a central gearbox with internal motor, which the legs on body sections that are connected by universal joints. 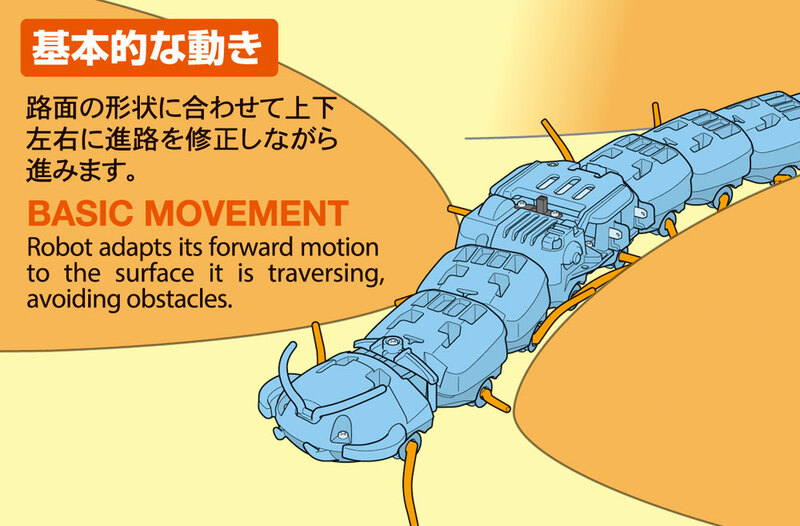 ★Model motion can be influenced by changing the position of the steering bar on the head. Where does intelligence come from? 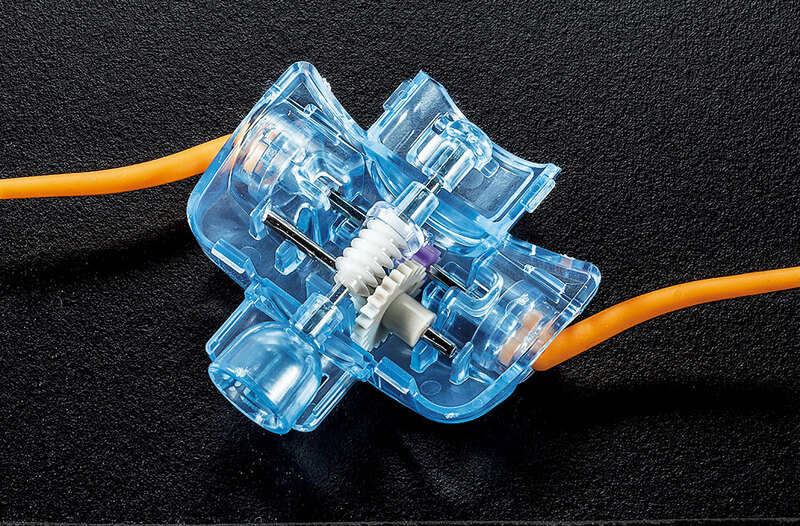 This is the question which lay behind the development of the i-Centipot at Osaka University's Graduate School of Engineering. 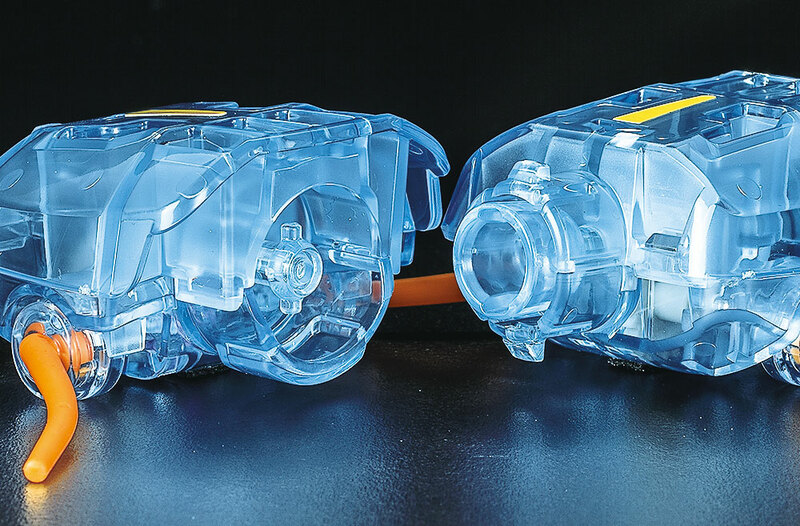 A team led by Prof. Koichi Osuka attempted to prove the hypothesis that life reacts to its surroundings rather than based on an innate inteligence. 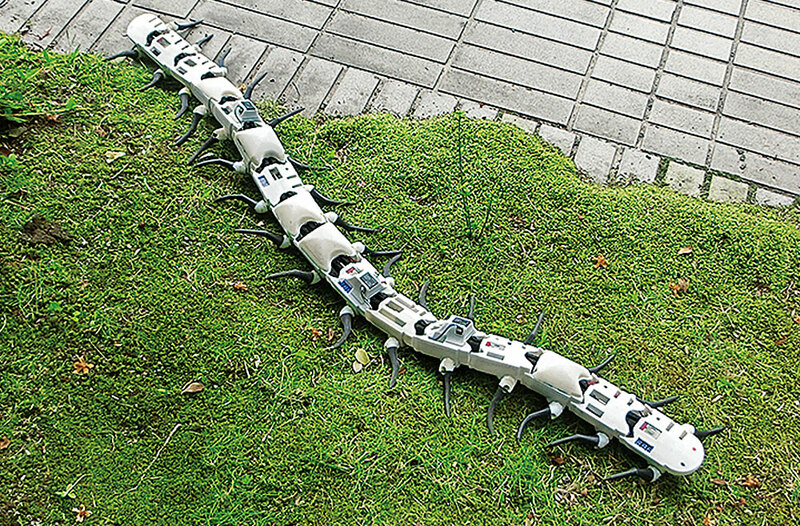 The Centipede Robot design drew inspiration from the i-Centipot. Information is correct as of June 8, 2018. Specifications are subject to change without notice.